Monrovia – A Special Legislative Investigative Committee on Operations of Sime Darby Plantation in Liberia has revealed that the company is in breach of the 2009 concession agreement it entered with the government of Liberia. The Committee, headed by Rep. Tibelrosa Summoh Tarponweh (Margibi Dist. #1), was set up by the Speaker of the House of Representatives, Dr. Bhofal Chambers to investigate a video that went viral on social media, showing a Liberian citizen being tortured by people believed to be agents or securities of Sime Darby for allegedly stealing a bunch of fresh palm nuts. The committee was also mandated by Plenary to verify whether Sime Darby follows all provisions of the concession agreement, especially its social corporate responsibilities in the areas of health, education, water and sanitation, housing and roads. The committee, among other things, observed that the company’s senior high school lacks proper sanitary facilities; no laboratory and functional library and Liberian employees and contractors lived in poor and deplorable housing units. 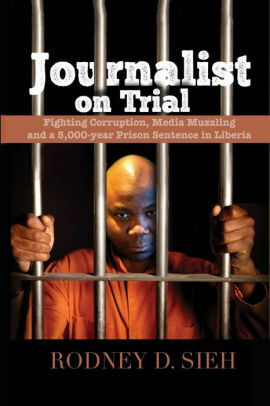 The special legislative investigative committee also mentioned that despite the company introducing several Liberians who are in top positions including human resource manager, chief security and warehouse manager, their investigation revealed that only a Liberian holds a senior managerial position and the others are mere contractors and not employees in top posts as claimed by the SDPL. The Committee: “Only a single Liberian citizen, Mr. Dao Metzger holds a senior managerial position as an Industrial Relations Manager. This falls short of the stipulation provided in the Concession Agreement that states that 50% of senior managerial posts be occupied by Liberian after five years and 75% in 10 years of the company’s operations in Liberia as provided for under section 12.1 of the concession agreement, under the caption Employment and Training. In its recommendations, the committee, among several requests and with specific time frame, called for the SDPL to install basic sanitary facilities at the school and the plantation, provide proper housing facilities, employ Liberians in top managerial posts, allow family members of all contractors be entitled to healthcare services provided by SDPL and ensure salaries of teachers, nurses, securities and all other professional staff commiserate with their qualifications and positions. 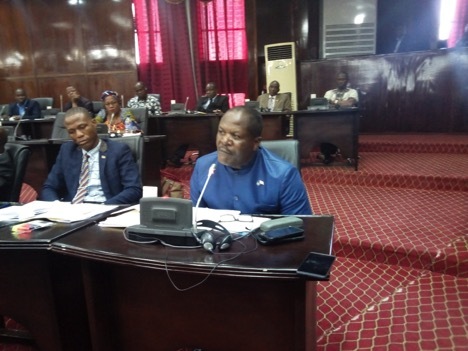 The committee wants proper sanitary facilities to be restored within 30 days and the employment Liberians in top position be executed within three months. It also called on the company to employ all contactors who have served the company for more than two years and those seen in the video torturing the Liberian citizen be identified and prosecuted to serve as a deterrent for would be violators of human rights on the plantations. In addition, the committee wants SDPL to submit copies of its annual reports for the last five years to the House of Representatives to be used to compare what is on paper as reported and the reality on the ground. Meanwhile, the Plenary of the House of Representatives accepted the reports in its entirety and agreed to summon the management of SDPL next Thursday, May 17 for its implementation.